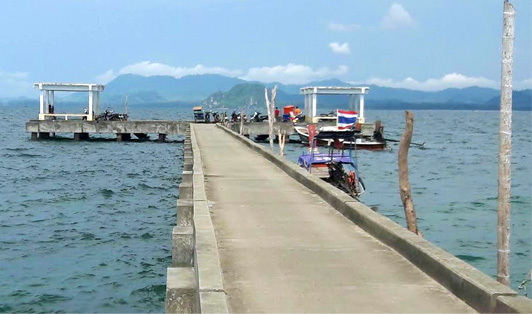 The check-in point is so easy to find; the boat operators depart from Koh Mook Pier (The main check-in point) which is located on the North of the island. Simply show the ferry staff your printed e-ticket that we have sent to you. They will take it from you and replace it with a sticker that you will wear for your ferry trip. This is a really simple process so don't worry at all. The staff is familiar with us at phuketferry.com and your boarding process is going to be 'plain sailing'!